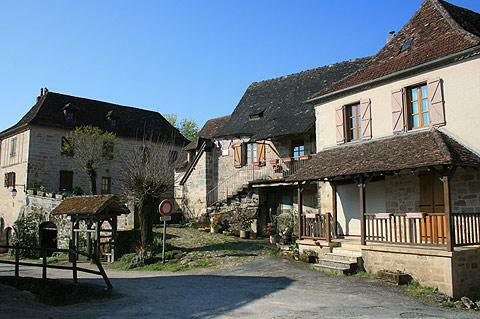 The village of Curemonte, listed among the 'most beautiful villages of France', is in the Correze department at the southern end of the Limousin region, near the borders with the Lot and Dordogne departments. 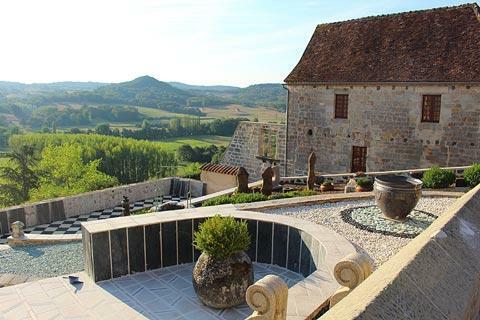 In a lovely setting on a hilltop overlooking the valley of the Sourdoire river, Curemonte is surrounded by the rolling countryside typical of the region. 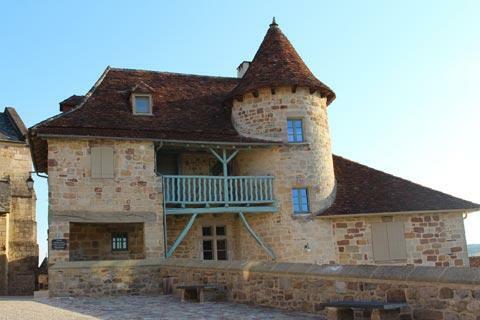 Because of its position on the ridge of a hill the village has lovely views across the surrounding Limousin valleys: it is also this position that means the view you have of Curemonte as you stroll to the village from the parking area is one of the highlights of your visit! 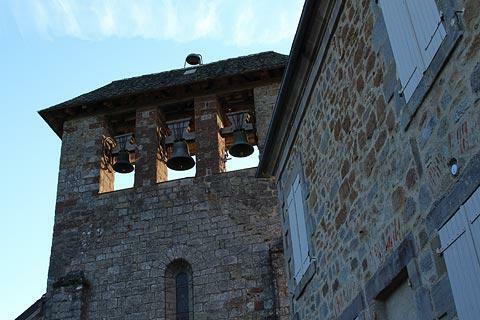 A small village, Curemonte won't take you long to explore but a visit is highly recommended. It is less 'modernised' than many of the most beautiful villages, adding to its charm, and also has less facilities than many. That is, there aren't lots of gift shops and cafes. 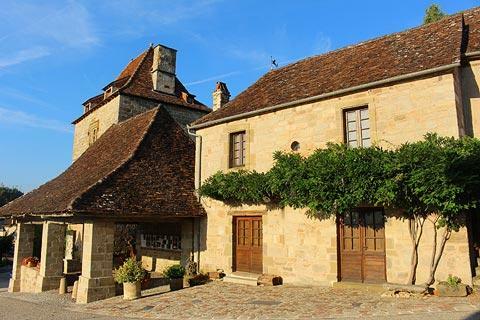 To explore Curemonte just follow the main street through the heart of the village and you won't go far wrong: apart from small alleys to the sides the village just has this one main road. 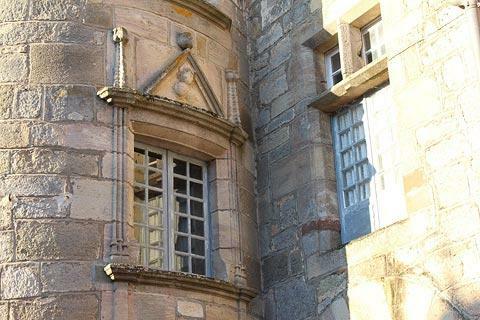 Take time to explore, and to admire the little details such as the ornate doorways and windows, the rooves of the houses. There are various other interesting buildings and attractive houses throughout the centre of the village. 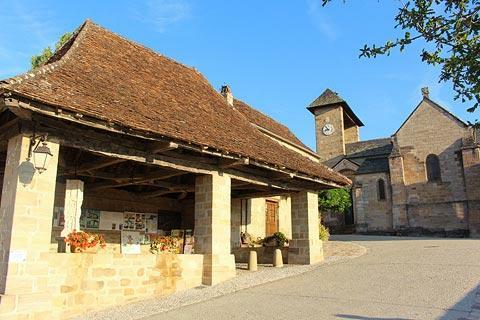 In the main square of the village you can see the church, the market hall and the Chateau de la Johannie while on the other side of the square overlooking the valley below is the Maison Perne, now with a substantial contemporary garden: together, the Maison Perne and the garden have been awarded the 'Patrimoine Francais' label. 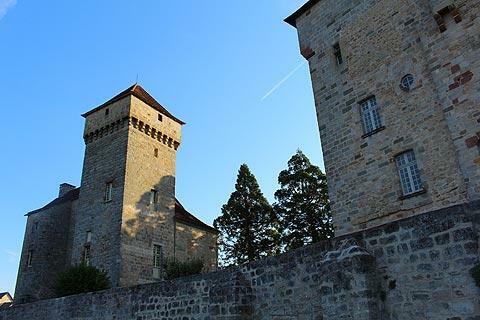 There are three 'chateaux' in Curemonte, which must be something of a world record for such a small village: the Chateau de Plas, the Chateau de Saint-Hilaire and the Chateau de la Johannie. 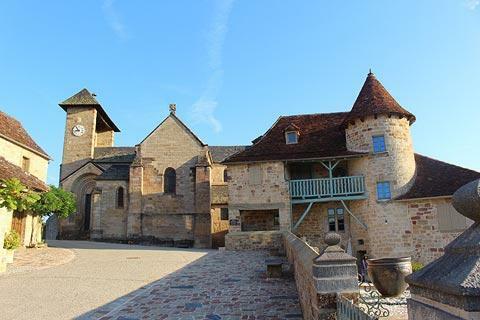 These three castles are centred around the church in the village itself, although two of them are combined together and might be seen as one - the older of these castles is the Chateau de Saint-Hilaire with the square towers and dates from the 14th century while the Chateau de Plas with the round towers is more recent, having been added in the 16th century. 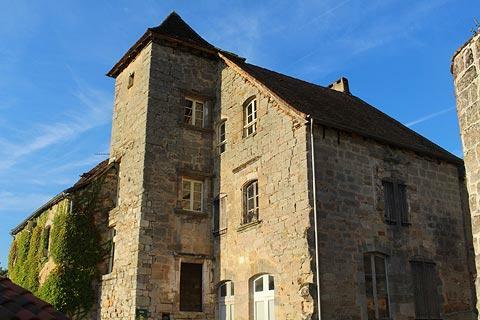 The Chateau de la Johannie, next to the market hall, dates from the 15th century. 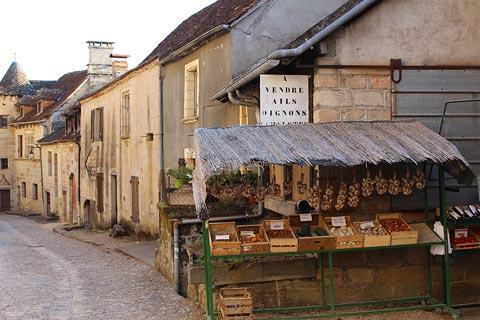 France This Way comment: the village gives a genuine impression of being little changed through the centuries. 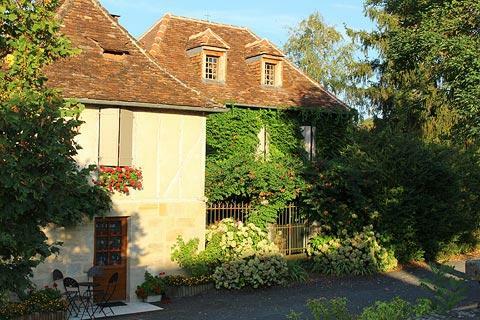 If possible Curemonte is best appreciated out of season or early morning when the village is quiet and there are few visitors around. 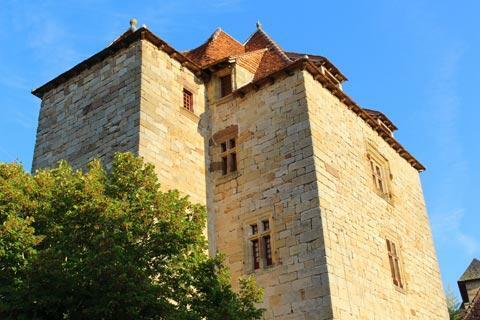 Curemonte is also close to several other 'most beautiful villages' including Turenne and Collonges-la-Rouge so allow plenty of time to explore the region properly! 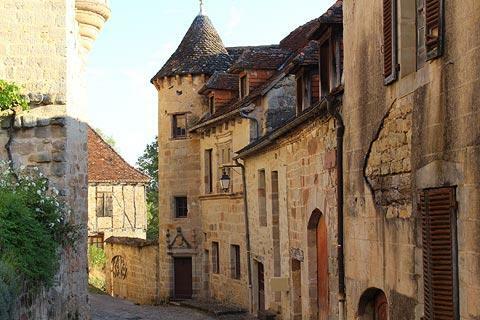 In fact you are spoiled for choice of picturesque villages to visit in the Correze department near Curemonte - you can also easily visit Carennac, Autoire and Loubressac, all three also listed among the 'most beautiful villages in France' nearby.